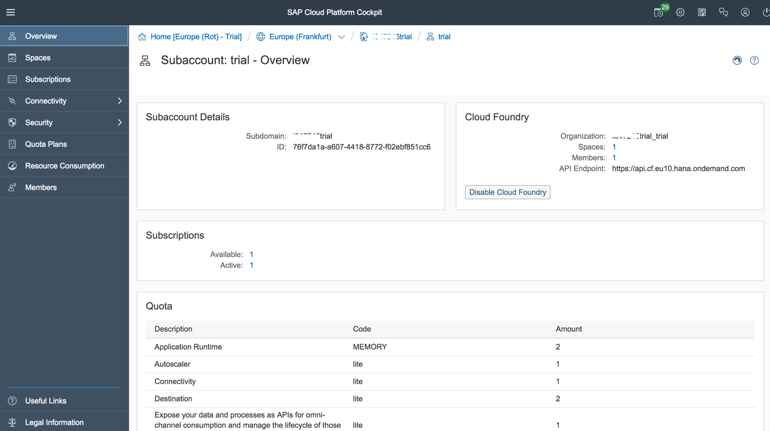 SAP Cloud Platform Business Rules Service in now available in Cloud Foundry Trial and Enterprise environment – for both platform-as-a-service (PaaS) and software-as-a-service (SaaS) engagement model. It has been released currently for CF/AWS environment in Europe(Frankfurt) data centre (eu10). In the second part, you will learn on how to consume the service from custom application deployed in Cloud Foundry. Click on Cloud Foundry Trial to create (if you are login for the first time) and open the trial account. Cloud Foundry is a limited period trial for first 90 days and then you can choose to extend it for another 30 days. Click on the trial subaccount tile to navigate into the account. It is from this subaccount that we are going to subscribe and configure business rules service. In the Overview page you will see all the quota assigned for various services and memory allocations for applications in your trial account. This quota or resource allocation defines which and to-what-extend you can use specified set of resources. Before I start this section, I would like to highlight certain things about business rules editor. To those who are aware of business rules editor in Neo environment – there is absolutely no change. Infact, the editor in Neo and Cloud Foundry is EXACTLY the same. No learning experience required. For those who have not seen/used business rules editor before, follow the blogs to know how-to model, manage and deploy rules. This section would not cover modelling of the rules. I would recommend you to go-through the blogs to familiarize yourself with modelling notations and operations for business rules. Assuming that you know how-to work with business rules editor, let us understand how to get access to the editor. This can be done in two ways (a) via HTML Application Repository – which is the newer way to get access to the business rules application and (b) via Subscription – which is the old way of enabling the subscription (as in section III below). In this section, we talk about how to enable the business rules editor via HTML Application Repository. 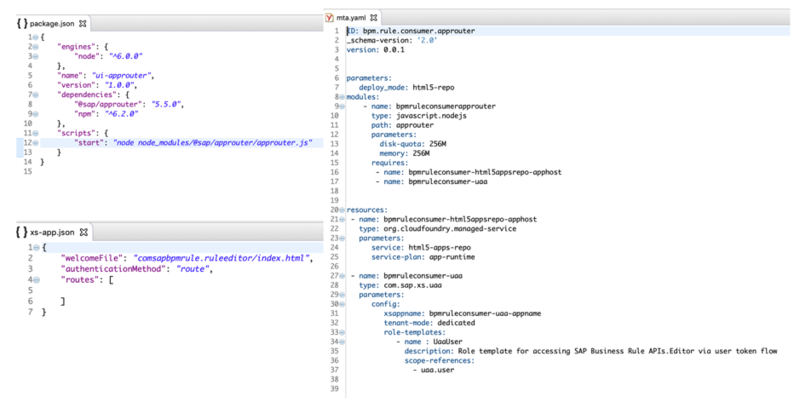 There are 2 ways how you can achieve this (a) one is using the command-line tool and (b) other is using the SAP WebIDE. 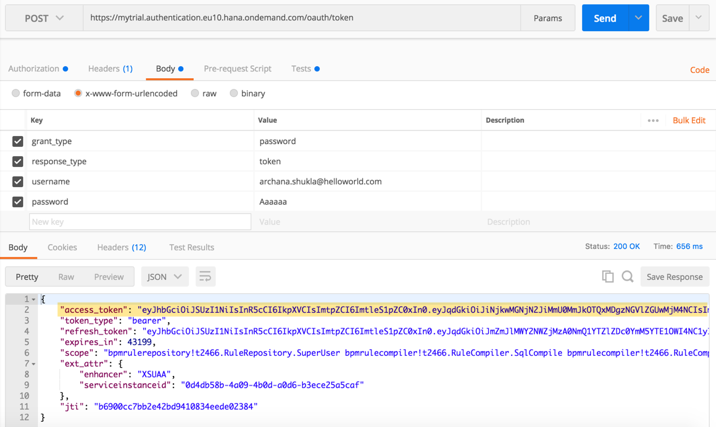 In this blog, I will show using the command-line tool (which is always my personal preference) but you can replicate the same using SAP WebIDE. Both are the pretty simple and straight forward to perform. 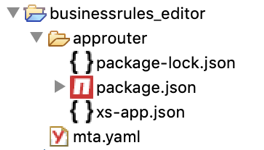 Copy and paste the code mentioned in this documentation (step 2, 3 and 4) for package.json, xs-app.json and mta.yaml respectively. Click on the Subscriptions (from left vertical panel) and click on tile to open the business rules standard application configuration page. In this page, click on the Subscribe button to enable the business rules application to be used. Open Manage Roles to see various roles provided with the subscription. RulesRepositorySuperUser is to get access to rules editor and repository APIs to model and manage rules. RulesRuntimeSuperUser is to get access to deploy and execute rules. In the previous sections, you learnt how you can enable/subscribe business rules application in Cloud Foundry and access the rules editor to model, manage and deploy rules. In this section, you will learn about the service broker of business rules – which will be used to create service instance and execute rules in the platform. I will also show you how you can test your rules from any available rest client using service keys of a service instance. While creating the service instance keep all the options as they appear by default and give the Instance Name of your choice. 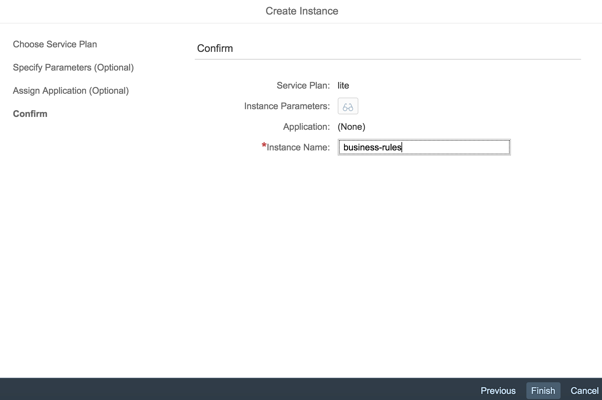 Now you have to assign roles (to your user) associated with the service instance of this business rules service broker. You can either create a new role collection or update the existing one. Open your trial subaccount and go to Members. Check if your username is already added. As this is a trial account, you should be already a member, by-default. To assign business rules roles, first you need to create the role collection. For that, open Security –> Role Collection and add a new role collection with name of your choice let’s say “Business Rules”. If you already have a role collection where you want to add business rules roles, then you don’t need to create a new collection. Go into the role collection to add 2 roles (RuleRepositorySuperUser and RuleRuntimeSuperUser of bpmrulebroker) to the collection. These roles are required to access the business rules editor to model, manage and deploy rules. Enter your user id or email address to see what role collections are assigned to you. To assign the newly created role collection to your user, use Add Assignment option. If you already have a role collection where you just want to assign role associated with business rules, then you do not need do this step. In the pop-up, select the bpmruleconsumerapprouter application to bind this application with the approuter and Save the configuration. Due to new bindings, the given application need to be restarted. Go into the Applications and select the bpmruleconsumerapprouter application. From Overview section and click on the Restart button. This is the old way (not recommended) of enabling business rules editor. Use the above mentioned steps to enable business rules editor. 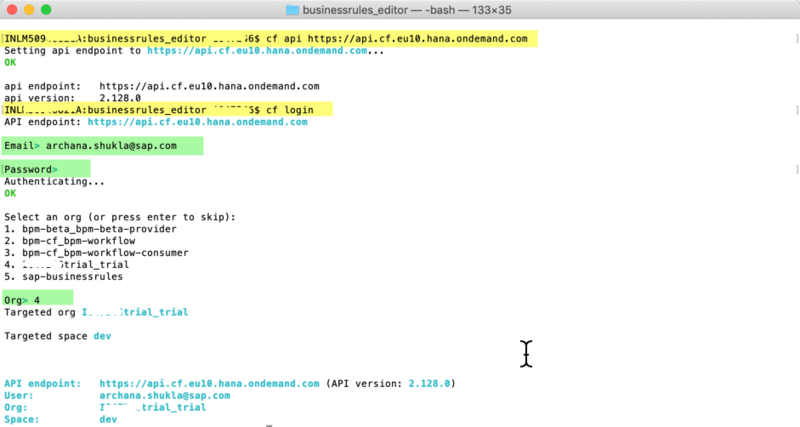 … this logins you to the business rules editor – which is your one-stop to model, manage and deploy your business rules in Cloud Foundry. So, now you have setup to the business rules application, assigned all desired roles to your user and opened the editor for modelling. You can choose to model your own rules or as a sample you can import Shopping Cart Promotion Rules from GitHub. If you opt for latter, then after you have imported the rules, you need to activate the artefacts (in this given order: Data Objects, Rule Services, Rules and Rulesets) and deploy the rule services. As you deploy the rule service, a REST service is created which can be accessed via business rules runtime public APIs. As final step, let us now test the rule service from any rest-client. I will use Postman here, but you can use any available client you have. when you make the call, you will get the access token in response body. This is the bearer access token that you will use to execute the rules. Create a new tab in Postman and enter following details according to your trial. As an example, I am executing the sample Shopping Cart Promotion Rules that I referred in the previous section. If you have your own rules, then you need to change the URL and body accordingly. You can also run repository APIs (in similar fashion) to model and manage the business rules (in case you do not want to use the editor and work on purely PaaS model). 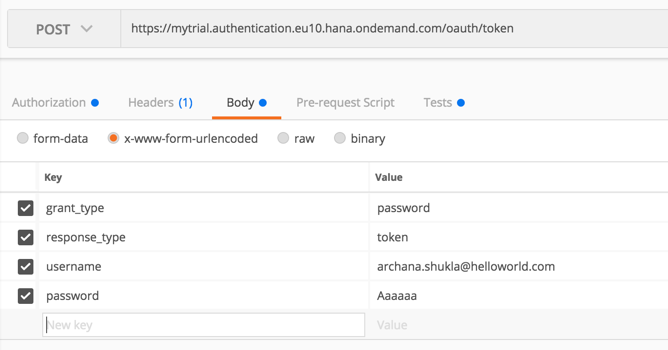 In the above example, I showed you how to authenticate business rules runtime APIs with password-grant type, but you can also use other grant-types to call the service. This concludes the first part of the blog where I focussed mainly on business rules application subscription and using business rules service broker instance to model, manage, deploy and invoke rules. 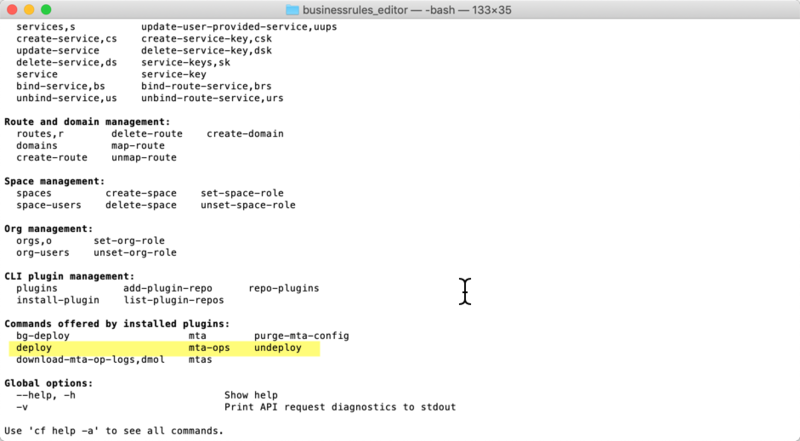 I will soon publish the second part of the blog, until then try and use the business rules service in Cloud Foundry and connect back to me if you have any queries or feedback. ♦ Second part of the blog is published now! Thanks for sharing, Gives good insights what is possible. When I open the application I get the No Authorization. I assigned all the rules roles to myself. Open the application in incognito mode. Browser caches the login information, if you have logged in earlier with your user when it did not had the required roles. I too face the same issue. Even when I use incognito it doesn’t work. Close all the browsers and then open in incognito mode. Try also clearing the cache. If you have opened two incognito window then also it won’t work. Also double check if the role assignment is correct. 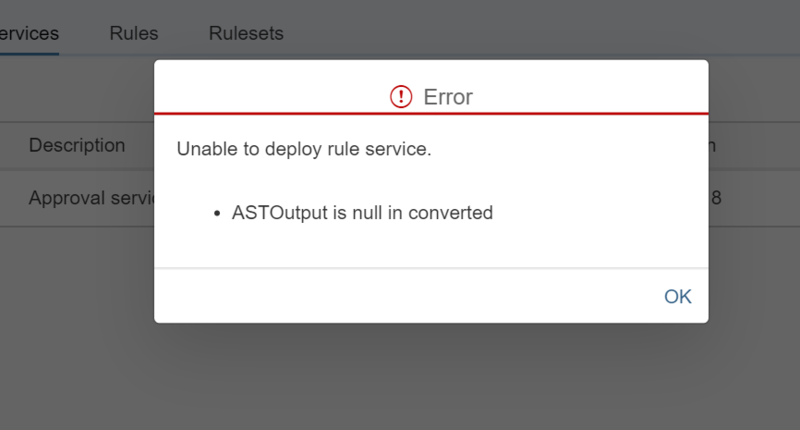 Now I get an error during rule service deployment – unknown error. Contact technical support. Need your help. 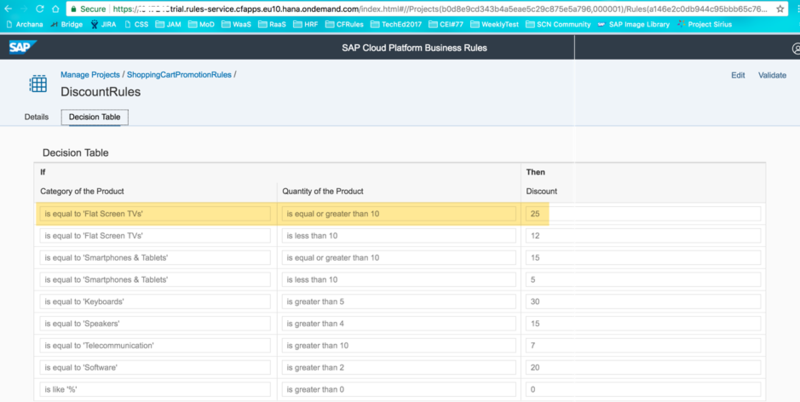 I am trying to deploy a business rule service from hana trail account and I am getting below error. could you please give me an hint on what could be wrong here. I am using a trial account. When I try to subscribe to business rules from the cockpit, the subscription shows as “processing” for some time and then again comes back to “not subscribed”. Because of which I am not able to navigate to the rules application. We are looking into the issue and will keep you posted. Please raise an issue in component: LOD-BPM-RUL and provide your account details. Ops team will fix it. I dont see Business rule service under Marketplace in CF. I tried both in trail and also Canary account. Even Entitlement is not showing Business rule service. Any idea why its not showing up? You will not see business rules service in Service marketplace if you have not entitled for business rules (lite plan) in CF trial. Canary is strictly for internal purpose. we have a different process for it. Please send separate email to me and I can guide you accordingly. Thanks Archana for your prompt reply. Will get in touch with you. Could you share the pricing model for productive usage? This is user based metering per month. In our case, we are considering using rules as a ‘reuse’ scenario. There may be only one user setting up the rule definition, but thousands of API calls to execute the rule – using a technical user. For this scenario, is there metering/pricing based on number of calls (or maybe resources consumed)? Please send email for the request.